June 23, 2016, 10 a.m.
Media startup accelerator Matter Ventures announced the opening of its New York office Thursday, in collaboration with The New York Times and Google News Lab. 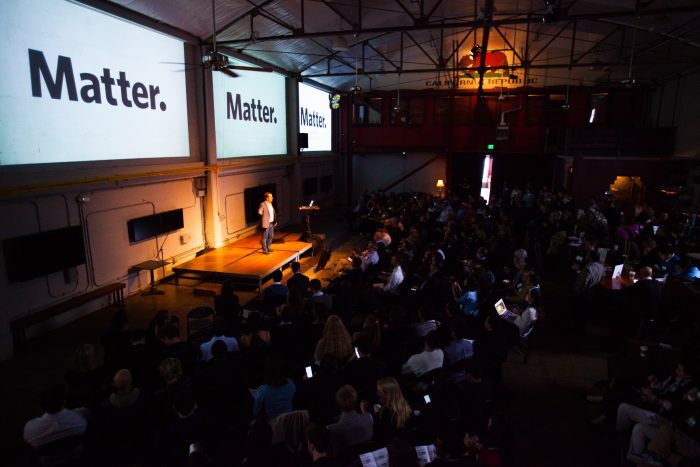 Matter also unveiled its “Matter 6” cohort of 13 early-stage media startups, seven of which will work from the NYC office. “It’s not an exaggeration to say that New York, in addition to being our home, is the global capital of news media. To be in both places really strengthens Matter’s mission and brand,” said Nick Rockwell, CTO of The New York Times, who was key in extending the relationship between the company and Matter. “I’m super excited to have The New York Times come on board,” said Corey Ford, Matter managing partner. “They represent the type of mission our entrepreneurs want to achieve in the long run.” The Times is the latest in a long list of media partners backing Matter, including the Knight Foundation, PRX, KQED, The Associated Press, McClatchy, A.H. Belo, Community Newspaper Holdings, Inc., and tronc. Ballstar, a social database for worldwide basketball stats for league management. Gol Labs, a platform to bring global soccer coverage to emerging economies. Menagerie, a personalized marketplace-style online wedding planning experience. Scout, an online community intersecting tech, economics and morality. Stella, an intelligent production management tool for filmmakers. This., a social network of smartly curated single links that can only be sent once a day. Treepress, a website that allows users to discover, license, and distribute any form of theatre from musicals to plays. CLEO, an AI agent that manages smartphone photo libraries to curate meaningful albums for its users. Common, a messaging service offering real time text translations. Discors, an independent news app ran by journalists rather than a larger media corporation. Itavio, an app to help parents manage their children’s mobile game spending, fighting against out of control in-app-purchases. Kira Kira, an online platform to teach design, architecture, and engineering to girls of Generation Z.
Thankroll empowers creatives by providing them with crowdfunding-style income from their fanbases. The 13 were selected out of 687 applicants and were allowed to choose whether they wanted to work from NYC or San Francisco.The startups participate in a five-month intensive program, present entrepreneurial ventures at monthly design reviews, and, at the culmination of the program, pitch to an audience at a final Demo Day. Washington-Harmon, Taylyn. 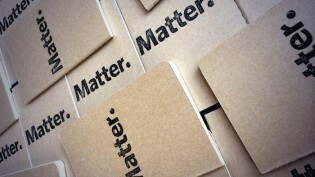 "Matter launches in NYC with help from Google and New York Times, reveals new startup class." Nieman Journalism Lab. Nieman Foundation for Journalism at Harvard, 23 Jun. 2016. Web. 25 Apr. 2019. Washington-Harmon, Taylyn. "Matter launches in NYC with help from Google and New York Times, reveals new startup class." Nieman Journalism Lab. Last modified June 23, 2016. Accessed April 25, 2019. https://www.niemanlab.org/2016/06/matter-launches-in-nyc-with-help-from-google-and-new-york-times-reveals-new-startup-class/.